What Is Anime? What Is Culture? Happy Valentine's Day everyone! As you may know, love is everywhere, especially in anime. With both romantic and non-romantic expressions of love in anime, we can learn quite a lot about the meaning of the word. So maybe if your day isn't going so great, or if you're upset over your relationship state, please keep reading as it just might cheer you up! With that being said, let us continue! We've seen many different takes on love in anime. Love is sometimes used as power, and a way to conquer the evil outside and within. Other times love is the main focus of the anime as we watch the protagonist struggle to make a relationship work, or simply as an attempt find the right person. Lastly, we've seen stories that consist of a single or multiple conflict of struggle, void of romance to a certain extent, that still seem to work love in the picture, but not in the way we'd usually expect. Now although these first two scenarios are somewhat easy to understand, a simple summary of them isn't enough. I'd like to take a look at each one, and then see how we can learn and apply the lessons in our lives right now. 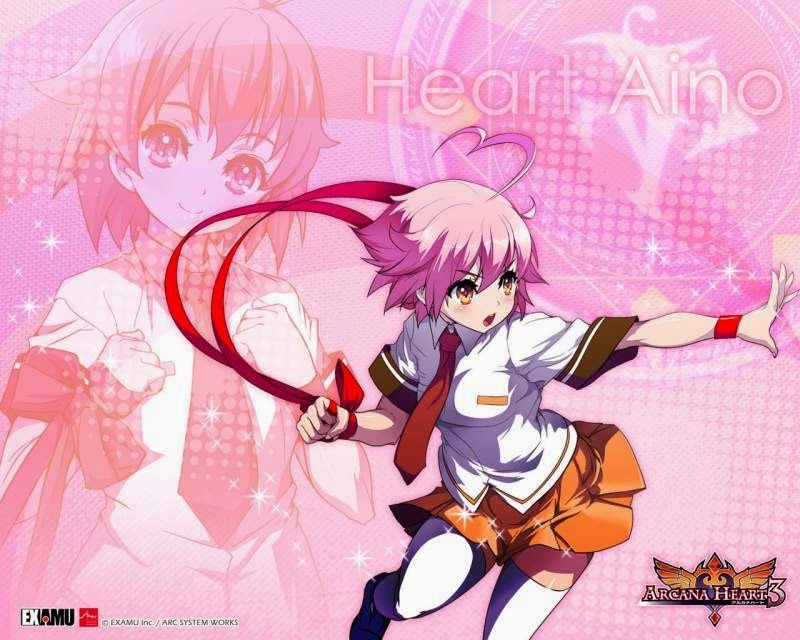 Heart Aino - Arcana Heart 1/2/3 Uses love as her main weapon. Yes, at first this representation of love might seem a little silly. This is probably one of the most common forms in anime, and it's usually not taken that seriously when it comes to other fiction or real life. However, I believe that love is a powerful thing. Especially when it's in the hand of a protagonist. In anime, love is may be used as a weapon in various ways. Some characters have enough love in them to share with even the evilest of villains and touch their hearts. In some cases, you have characters that will actually fight you head to head with their love. In others, we see love build willpower that keeps anime characters fighting until the bitter end. Although these characters may be seen as weak, cheesy, or even girly, (if they are male.) their mentality usually helps them rise to the challenge no matter the obstacle, and we see them victorious in the end. So what about when it comes to our world and our lives? Although we may not be able to use love to manifest weapons and magic, love is a superpower that every human has. The ability to feel such a powerful emotion for another person is usually a sign that we are human. We do not necessarily need to have love for someone of the opposite gender, (or the same gender.) but a general love for people. The kind you would have for a friend or a family member. The kind that makes you feel like everything will be alright, and lastly, a love that will make you do anything to protect that person. 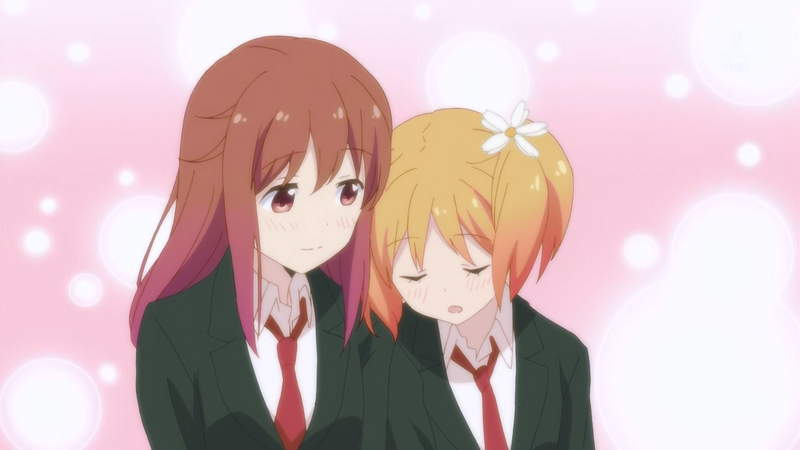 Sakura Trick, a nice simple anime about romance that could be considered yuri. Like other works, there's a lot of anime that revolve completely around romance. I have to say there's something exciting about this type of series. Even if you're not interested at all in romance, it's fun to watch another person take the journey themselves. Usually with these anime, there's a focus on the trials and complications that take place when there's a relationship at hand. Unlike a lot of other media, they sometimes give us insight on what happens after the partnership blossoms, instead of just giving us a cut off to a happy ending. While this may not always be an easy road, it's a bit more realistic and again interesting to see. Other times we see character development through a relationship, which may end well or end badly. The same applies to romance in real life. What can we take away from this sort of story? Well, looking at the characters, along with learning more about themselves, they tend to learn more about other people as well. Romantic love is process that allows a person to grow and discover more about their true likes and dislikes, and what they find attractable in other people. This is usually the case even if the relationship doesn't turn out to be in their best interests. I think the main lesson to take away from this genre, is that you have to be careful about the person you chose. Sometimes, you may think someone is nice and they are not. Other times, you may miss the person who cares the most about you, so it's always good to keep an open mind when it comes to relationships. Of course with that, we have to remember that we shouldn't give up ourselves when it comes to a relationship, else we may not be truly happy. Like I usually say, anime is packed full with lessons. Even when it comes to the topic of love. 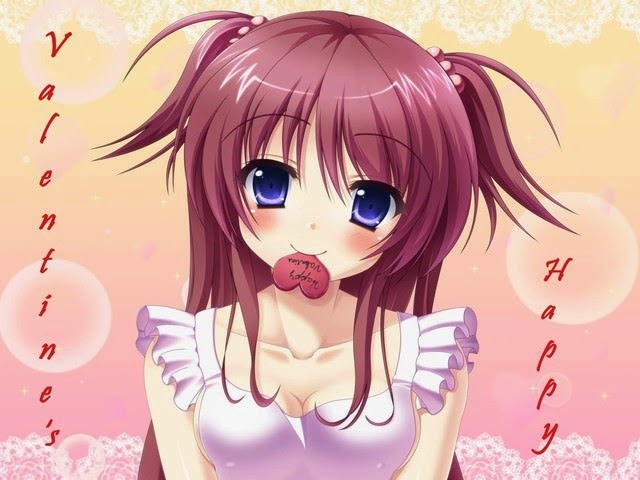 I would now just like to give a few of my thoughts on this holiday, in relation to anime and just love in general. Unfortunately, today is a day when many people unhappy. They might feel lonely, they may not have anyone to call their Valentine, or they may have had a bad experience on this day. I think that's it's completely okay for someone to feel sad for those reasons, because the holiday is made out to be taken in such a way. For me, I see Valentine's Day as more than a day where couples celebrate and romance flourishes, I see Valentine's Day as one where love should be shared with anyone, no matter what race or gender they may be. At first I didn't think that way, but thanks to anime I learned how powerful love is. I think it's power is heavily underestimated in compared to being tough, strong-hearted, and physically fit. Yet, many anime display love in such a different way from the norm, to the point where I started to think about love more. We have stories where love brings light to the darkness. Stories where love changes the hearts of villains, and ones where love is found in unexpected ways. There's anime that exist now, such as Dog Days as an example, where characters throw around "I Love You" without any sort of romantic meaning to the word. Dog Days has such a wonderful and colorful world, that it makes me wonder if people acted similar to the characters in that anime, would the world be a brighter and happier place? All this thinking for me, started with anime, and it changed my thoughts on Valentine's Day. I went from completely not liking the holiday, to loving it. It's one of my favorites because I'm reminded of the wonderful people around me, and I get to openly express my love to them. Like most of my newly learned lessons, it all goes back to anime. 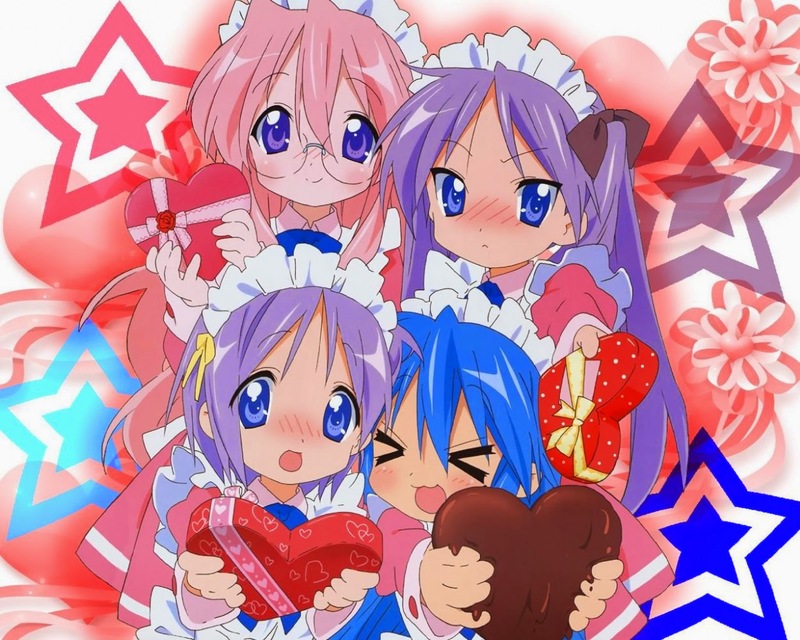 So what do you all think about Valentine's Day, love, romance in anime, or anything to do with this holiday? Let me know in the comments please! Please comment, I want to hear your voice! What is Waifu? Why have Waifu? What Makes An Anime Popular?